FTNJohn: Know anybody like this? 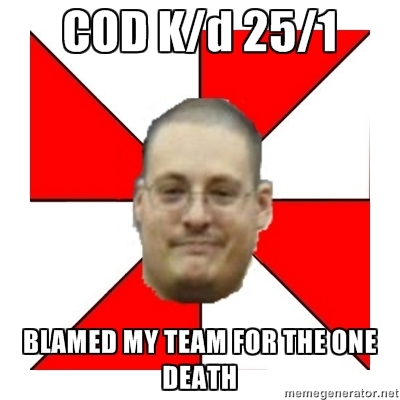 Don't be the one person who wins a Call of Duty match with K/D of 25/1 and complain that your team mates didn't have your back. You just look silly than.